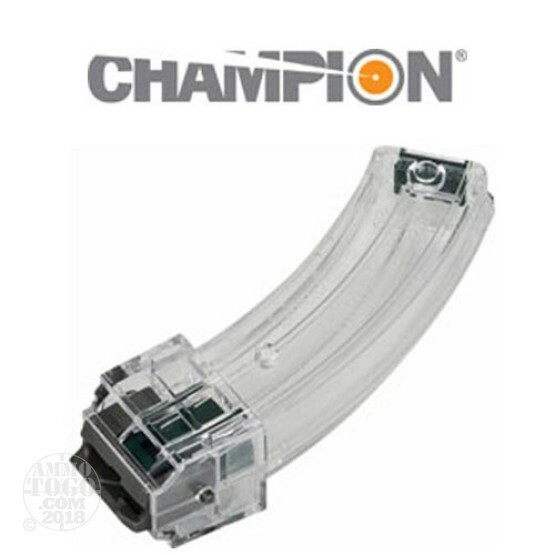 This is a Champion 10/22 30rd. Metal Head Magazine - Clear. Compact, double-stack 30-round design, steel header for long life and durability. Removable bottom panel for easy clean-up. Clear body for easy view of cartridges. Locking tabs for connecting two magazines together.